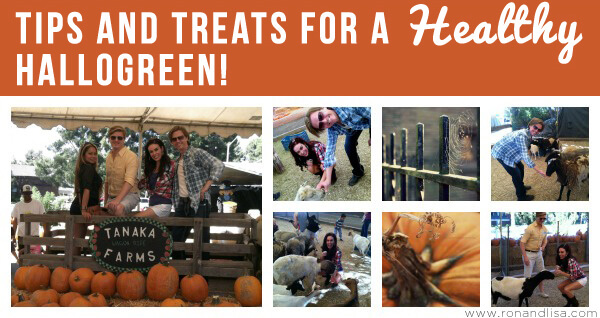 Tips and Treats for a Healthy HalloGreen! I love Fall for so many reasons. For one, the crisp cool air is reminiscent of past memories filled with the knowing that the holidays are just around the corner. Soon it will be time to put away my beloved flip flops in exchange for boots or other closed toe shoes. Then again, I do live in California, so although that sounds correct in theory, the reality is the open toed variety are only moved to the side temporarily. However, the cool air does have that special feeling in the air and no matter what part of the country you live in, you can relate. To some, it’s the changing of the leaves. To many, its the creativity that explodes with decorations, costumes and baking; and for most all of us it is a special time to honor natures way of changing seasons where our days become shorter and our nights more magical with the glow of jack-o-lanterns and the smell of pumpkin and spices. 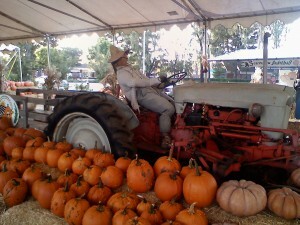 To kick off the season, Ron & I visited our local pumpkin patch here in Irvine called Tanaka Farms. 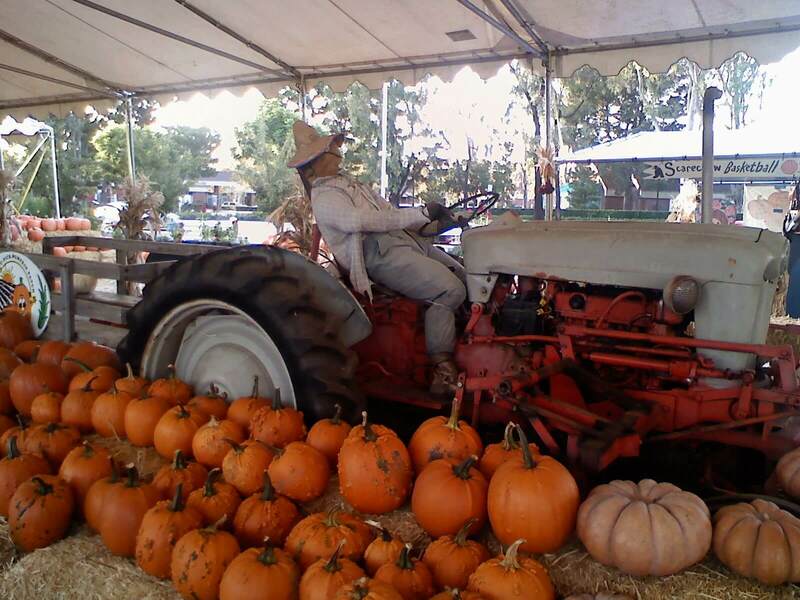 It is a special place filled with the colors of the season, friendly staff, wagon rides and a quaint petting zoo filled with wonderful furry animals like Alpaca, Llama, goats and sheep. We love to support our local organic farm in any way we can. It also makes for a great weekend or evening activity. Check here to find a local farm in your community to support versus purchasing your pumpkin at a large chain retail store that is most like importing these goods from afar. This brings us to Halloween and time for some tips and treats on how to make your Halloween a bit greener and a bit healthier! Now that we covered the first item at hand, buying your pumpkin at a local farm, what about costumes? According to Green Halloween, if 50% of kids in our country swapped costumes this Halloween instead purchasing new off the rack at retail stores, the annual landfill waste in the U.S. would be reduced by 6,250 tons; approximately the weight of 2,500 mid-size cars. Yikes! That’s enough fear to make even the fearless lion cringe! So, clearly, there are issues at hand that we can, with a few modifications, transform with little effort, some savings, and a good conscience. Let’s proceed with a few more fun & easy tricks up our sleeve, some taken straight from our book, Just GREEN It! Simple Swaps to Save the Planet & Your Health. In keeping with the theme of our book, we are sharing these in the Green It!, Skip It! fashion, but for Halloween’s sake, have changed this to ‘The Good’ and ‘The Ugly.” You get the picture! 1.) Opt for real pumpkins. You can reuse the inside for roasted pumpkin seeds, soup, or pumpkin pie. Go a step further and choose organic at your local Farmer’s Market, Whole Foods – or grow your own! 1.) Avoid the plastic pumpkin. Americans generate more than 10 million tons of plastic waste per year but only recycle 2%of it. 2.) Avoid toxic Halloween body paint and makeup. 2.) Toxic spray paints emit dangerous VOC’s into the air we breathe. Healthier options like nontoxic face pencils and sprays are the best option. 3.) Choose cups & plates for your party that are made from renewable resources like Bare by Solo’s bamboo plates and cups made from corn! Gives harvest a whole new meaning! 3.) Skip the paper or plastic plates and cups that will just emit more waste in our already full landfills. Smores bars. Or, the organic Endangered Species Bug Bites, where 10% of all net profits go to provide support to species, habitat, and humanity organizations. 4.) Skip the traditional, sugar laden, food-colored treats. Many colorings are linked to behavioral issues in children. 5.) Trick your kids into ‘drinking’ their veggies! Amazing Grass SuperFood drink powder is a delicious way to achieve daily serving of fruits and vegetables, inconvenient packets for Halloween treats! 5.) Avoid too many unhealthy treats at your home or party. Childhood obesity has more than tripled in the past 30 years. 6.) Make your own costumes or host your own neighborhood costume swap! 6.) Avoid conventional, plastic and polyester used to make outfits and costumes which can contain chemicals from dyes and synthetic pesticides. 7.) Fall is in the air! Choose essential oils like Cinnamon, Orange or Nutmeg to set the mood and scent the (clean) air. 7.) Avoid synthetic air fresheners that ‘claim’ to clean your air (Fabreeze, plug-ins, etc) and only add synthetic chemicals to mask odors. For more tips to green your Halloween, visit EWG’s online guide or refer to the Halloween section of Just GREEN It! to help you and your little goblins enjoy a joyful and safe holiday! Hi! So glad you joined in our blog hop fun at Friendly Friday. You have a great blog! It caught my attention because our blog names are similar. I am trying to live greener and can learn from ideas you have here. I agree about the candy for Halloween. Our kids get way too much sugar! As a previous teacher and this year as a teacher’s aide (tried to get back into teaching but because of the economy, there is a surplus of teachers), every year I can see a difference in behavior of some students the week after Halloween because of all the sugar in their systems. Hello Carla! Nice to e-meet you :) Yes, that is the same way I discovered your blog – because of our similar names. Thanks for dropping by and sharing your very helpful feedback regarding the noticeable difference in your students. I believe children and adults for that matter, are often times misdiagnosed for ailments that are linked to diet and environment and many time unnecessarily treated for something else. Knowledge is power and I’m sure that your input will help some parent who was unaware of this link in particular. I love this! Thanks for the tips for Halloween . Making costumes for the kids is my favorite idea and a great way to share in the fun. Hi! I found honey sweetened chocolate candy cups at Heavenly Organics: They come in four flavors. If you’re ok with sugar but want all natural ingredients I love http://www.naturalcandystore.com – they have all types of candy, all natural. Natural candy is more expensive – you might want to save it just for a Halloween party.